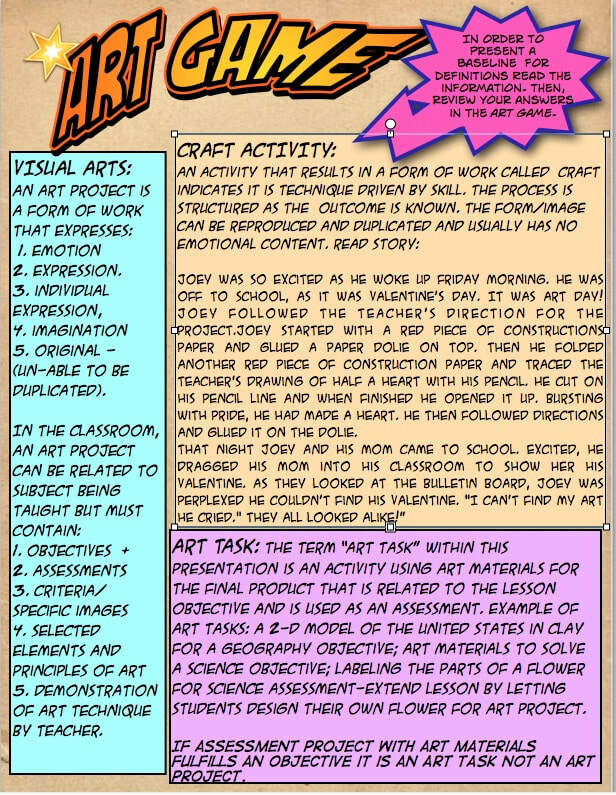 A graphic organizer used to develop a year-long thematic art curriculum. for the art wall, see educational resources under More. Artists, Elements and Principles of Art and are copyrighted. 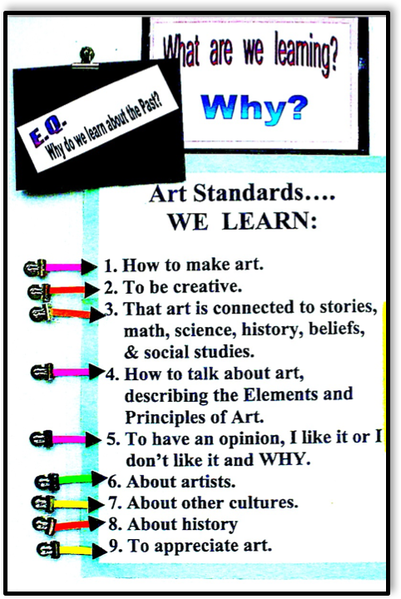 On your art room walls, you’re required to post the Visual Art Standards related to your lessons. grasp why we have art activities. students would echo the information. a principal when asked, “What are you learning/doing today in art class”. The Essential Question is also replaceable using a magnetic clip. Review the art standards your county uses and adapt this idea for your classroom.